The Registrar, who answers directly to the Chief Justice, is responsible for the management of the Court and exercises the quasi-judicial powers conferred by the Rules of the Court. 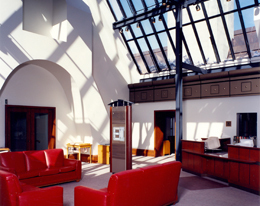 The Registrar's management responsibilities include the appointment and supervision of Court staff, management of the Library and the Registry, and publication of the Canada Supreme Court Reports. The Registrar and the Deputy Registrar are both appointed by the Governor in Council. The Court's staff currently numbers approximately 200 employees, all of whom are members of the federal public service. Each judge of the Court has law clerks, usually recent law school graduates, who provide him or her with research assistance. The one-year term each clerk serves is regarded as meeting in whole or in part the articling requirements set by the various provincial law societies as a condition for admission to the practice of law. A judicial executive assistant and a court attendant are assigned to each judge to ensure the efficient management of the judge's office. An Executive Legal Officer, whose responsibilities include media relations in regard to the Members of the Court and to cases before the Court, a Senior Legal Officer and a Legal Communications Officer are attached to the office of the Chief Justice. The Court Operations Sector, composed of the Law Branch, Reports Branch, Registry Branch and Library and Information Management Branch, is responsible for the planning, direction and provision of legal advice and operational support to the Supreme Court judges respecting all aspects of the case management process, from the initial filing to the final judgment on an appeal. This includes the processing and recording of proceedings, scheduling of cases, legal and jurilinguistic services, legal research and library services, legal editing services and publication of the Canada Supreme Court Reports. Information management services, including case-related and corporate records information, are also provided by the Sector. The Communication Services develops and implements communications strategies, plans and programs to increase public awareness and understanding of the Supreme Court of Canada, and to enhance internal communications within the Court. Administrative and operational support for all the Court's judges and staff is provided by the Corporate Services Sector, which is responsible for: strategic, business and resource planning; corporate reporting; management accountability; modern management methods and tools; integrated risk management; finance; procurement; accommodation; administration (telecommunications, mail and printing services); human resources, security; health and safety; emergency management and preparedness; development, delivery and management of IT strategies, plans, policies, standards and procedures; as well as business continuity planning. 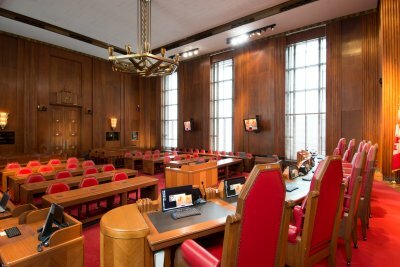 The Judicial Support and Protocol Services Sector is responsible for the delivery of all judicial support services to the judges of the Supreme Court of Canada, including protocol and judges' dining room services, the development and delivery of integrated judicial support programs and services, judicial administration, as well as the judges' Law Clerk Program. The Registry plays a pivotal role in the Court's operations. It is the hub of all procedural and documentary activities at the Court. The Registry is responsible for processing, recording and directing the flow of all documents filed by parties, as well as recording all steps and events during the life of a case. This information is available to the public at the Court and on its Website. The Registry also provides assistance in scheduling the Court's hearings and providing support during sittings, as well as in finalizing the documentation for all cases after judgment has been rendered. For more information, visit the Scheduled Hearings page. The Court's decisions are published simultaneously in English and French in its official reports, the Canada Supreme Court Reports. All written and oral judgments and reasons for judgment are printed in their entirety along with a summary (called a headnote) of the reasons. The first reported case, published in 1877, was for an appeal heard in 1876 from the Supreme Court of Judicature of Prince Edward Island. Originally numbered in series from 1 to 64, the Reports have been identified since 1923 by their year of publication. In 1975, the printed reports grew from one to two volumes a year, and since 1990, three or four volumes have been published annually, each consisting of four to six parts issued periodically and containing an index and a table of cases cited. Judgments are made available electronically the day of their release. 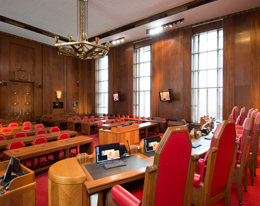 With approximately 300,000 volumes, the Library of the Supreme Court of Canada provides a substantial research base for the Court to consult in performing its role of deciding questions of public importance. The Library's extensive collection includes statutes, law reports, periodicals and treatises from major common and civil law jurisdictions, such as Canada, the United Kingdom, the United States, Australia, New Zealand, France and Belgium. Its print, microform and electronic holdings are supplemented by access to a vast range of electronic networks and databases. Its collection is also enriched by a valuable collection of rare books printed in the 16th, 17th and 18th centuries that pertain to the common law of England and the civil law of France. 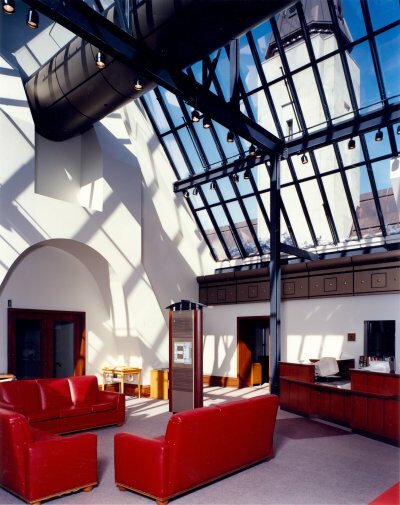 In addition to serving the Supreme Court itself, the Library provides services to lawyers appearing before the Court, to members of the Bar, faculty members and students-at-law, and, by special permission, to legal researchers and members of the public.